We are constantly looking for clean energy, as it is important to reduce our dependence on fossil fuels. 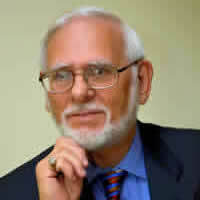 Therefore, it is vital to explore various sustainable energy options. Hydrogen might be the answer as it is very efficient when it releases energy and the only exhaust produced is pure water, thus making hydrogen an extremely promising form of energy storage. The impediment is that hydrogen is not a naturally renewable source of energy like solar power, nor is it a organically occurring fuel like methane or coal. Hydrogen is usually produced by separating water with electrical power. 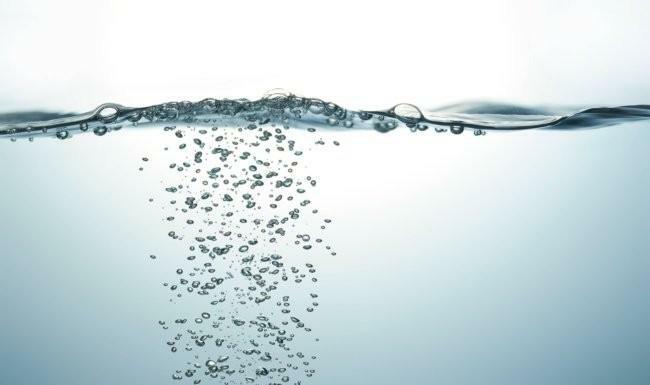 And although water is for the most part limitless, the major obstruction to a future of energy from hydrogen is the need for expensive metals, such as platinum, palladium, iridium and gold used in water-splitting devices, since they resist oxidation. Researchers have confirmed that hydrogen can be supplied from water-splitting, using very small metal particles that are exposed to sunlight. 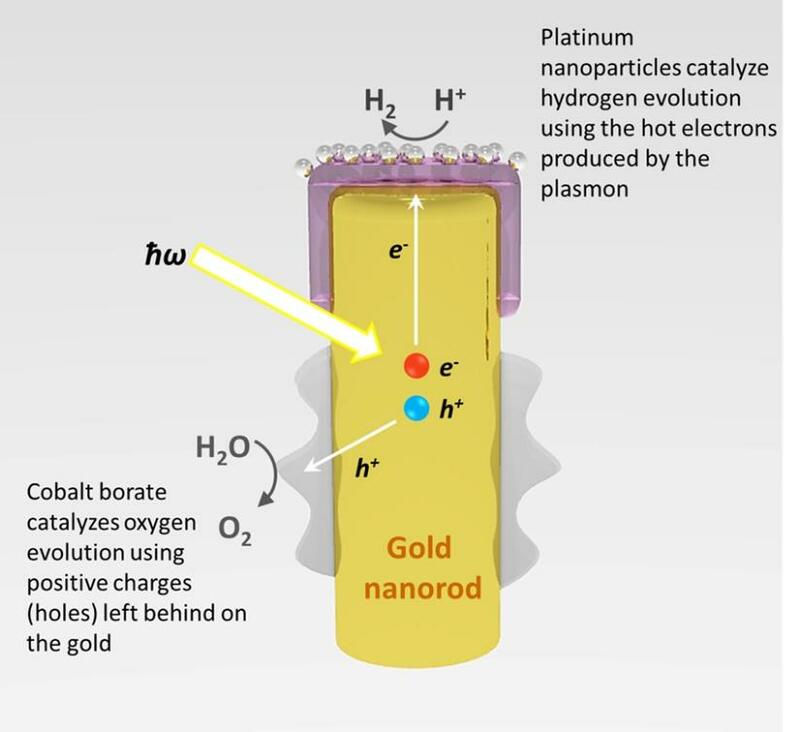 They found that the use of gold particles smaller than one nanometer resulted in greater hydrogen production than other co-catalysts tested. The intention is to produce hydrogen from water, but splitting water to make hydrogen and oxygen requires a lot of energy and is expensive. Researchers are exploring how metal nanoparticles perform as substantially efficient catalysts when using solar radiation to split water into hydrogen and oxygen. Since solar radiation will be used as the energy source, carbon emissions are eliminated; and because gold clusters work efficiently as a catalyst, this process is more effective. The extensive adoption of fuel cells depends on improving the performance of the catalysts that are used. Gold nanoparticles have been alluded to as an ideal solution, but creating a uniform, useful catalyst with them has proven elusive. In a potential breakthrough for fuel cells, researchers demonstrated how wrapping a graphene support in a specially prepared polymer provides an ideal foundation for making uniform, highly-active gold nanoparticle catalysts. Fuel cells create electricity from the oxidation of a fuel such as hydrogen at an anode and the reduction of oxygen at a cathode with water being the only by-product. 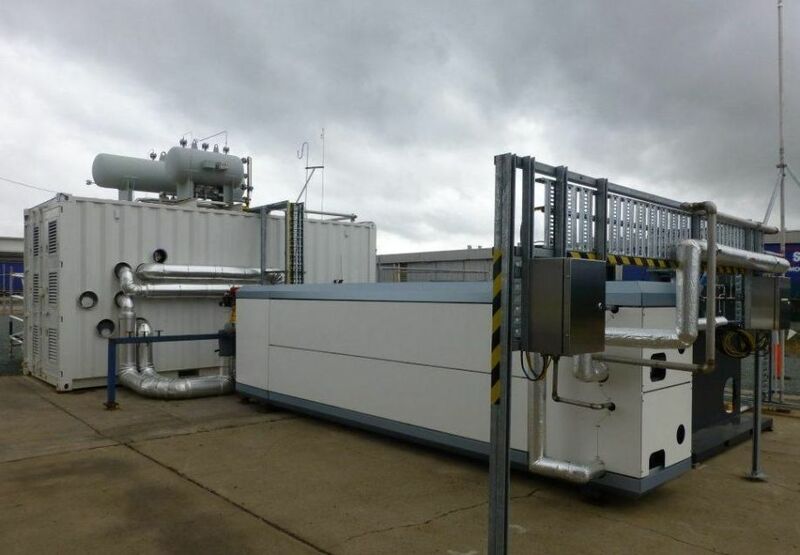 The fuel cells produce no greenhouse gases and are widely seen as essential for a clean energy future. The rate at which electricity can be produced in fuel cells is limited, specifically by the oxygen reduction reaction at the cathode. Although current platinum based catalysts accelerate this reaction, they have a tendency to catalyze other reactions as well and are sensitive to corrupting by the reactants, restricting their effectiveness. Despite gold being chemically inert, gold nanoparticles are very effective at catalyzing the oxygen reduction reaction without the drawbacks associated with their platinum counterparts. 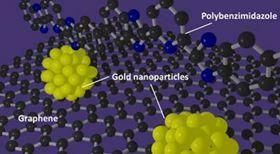 Producing uniformly sized gold nanoparticle catalysts has proven to be challenging. Earlier fabrication methods have formed catalysts with nanoparticle sizes that were either too large or too widely distributed for feasible use, while efforts to conform the particle size tended to limit the gold's activity or make less permanent catalysts. In one experiment by UC Santa Barbara's Departments of Chemistry, gold nanorods were capped with a layer of crystalline titanium dioxide embellished with platinum nanoparticles, and placed in water. A cobalt-based oxidation catalyst was deposited on the lower portion of the array. When nanostructures, such as nanorods, of certain metals are exposed to visible light, the conduction electrons of the metal can be caused to oscillate collectively, absorbing a great deal of the light. This excitation is called a surface plasmon. As the "hot" electrons in these plasmonic waves are excited by light particles, some travel up the nanorod, through a filter layer of crystalline titanium dioxide, and are captured by platinum particles. This causes the reaction that splits hydrogen ions from the bond that forms water. Meanwhile, the holes left behind by the excited electrons head toward the cobalt-based catalyst on the lower part of the rod to form oxygen. Splitting water with solar energy has received much consideration as a possible means for converting solar energy to chemical energy by creating clean and renewable hydrogen fuel. Molecular hydrogen production using semiconductor photocatalysts has the potential for light driven proton reduction. However, most semiconductors cannot produce hydrogen without a co-catalyst. To make hydrogen, the idea is to come up with inexpensive alternatives to expensive metals, such as a hydrogen-making catalyst containing phosphorus and sulfur, which are common elements, as well as cobalt, which is 1,000 times cheaper than platinum. These catalysts reduce the energy needed to start a chemical reaction; and is almost as efficient as platinum, showing the highest catalytic performance among the non-noble metal catalysts reviewed. Using a cobalt catalyst and solar energy to drive hydrogen production, results in the most efficient system that relies only on inexpensive catalysts and materials to convert directly from sunlight to hydrogen. The cobalt catalyst can be used if a bit of performance is sacrificed, and cost and scalability is important. The cost of the catalyst needs to be considered compared to the whole system. There’s always a tradeoff; but if you want to build the best electrolyzer, you still want to use platinum. When the size of metal particles is reduced to dimensions below one nanometer, there is an impressive increase in the ability of these particles to facilitate hydrogen production from water using solar light. A greater than 35 times increase was observed in hydrogen production as compared to ordinary materials. These metal clusters are about one-quarter of a nanometer in size. These microscopic clusters act as super-efficient catalysts. Catalysts drive chemical reactions, reducing the amount of energy required. This catalysis works very efficiently at the molecular level. Now, we need to demonstrate that it works on the macroscopic scale. 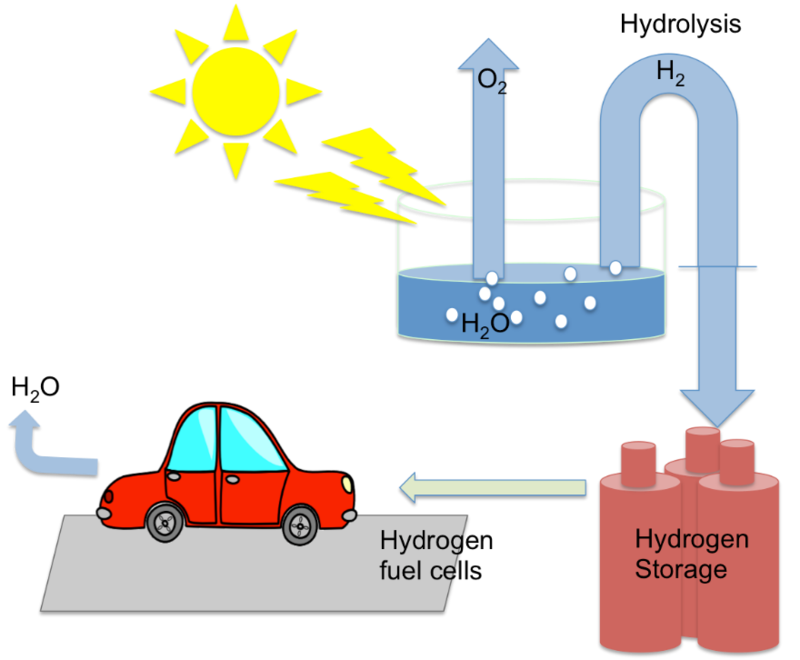 Hydrogen can be converted from solar energy via a photochemistry process as discussed; but hydrogen storage remains as one of the key challenges to realize hydrogen economy. Hydrogen can be stored as pressurized gas, cryogenic liquid, or in a suitable solid-state material such as metal hydrides, metal organic frameworks and carbon materials. Solid-state hydrogen storage can be accomplished at near ambient temperatures and pressures with hydrogen chemically or physically absorbed into the solid-state materials. The storage of hydrogen in a liquid or gaseous form requires large containers, which pose safety difficulties in transit. For solid-state hydrogen storage, the storage capacity depends on material-specific surface interactions. For decades now, there have been numerous attempts to develop nanomaterials to achieve applicable renewable energy conversion and utilization. There are still many challenges that lie ahead. To reduce our dependence on fossil fuels, it is important to explore different sustainable energy options. The future of renewable energy is closely linked to how efficiently hydrogen is generated and then stored for future use. Hydrogen can be an energy source in the future as it is a very clean fuel, which produces water as an environmentally friendly residue. The existing test is to find new materials, which can help to produce hydrogen from sustainable sources.